TWO CUPS OF HAPPY: Merry Christmas! 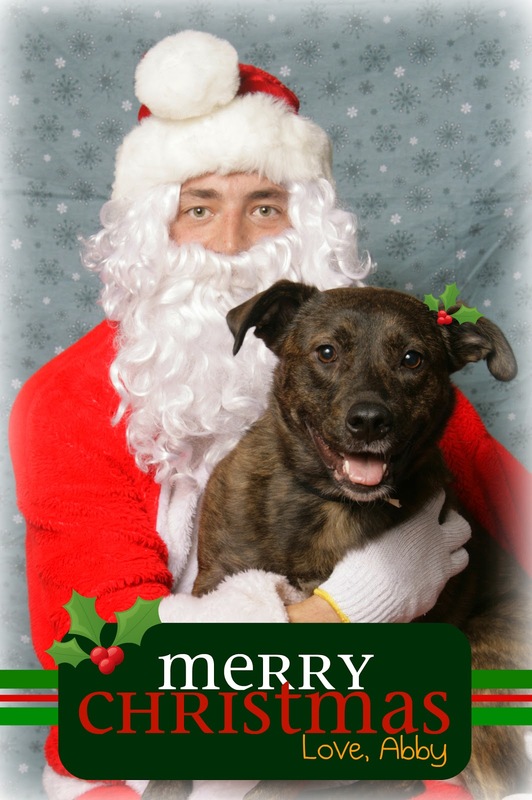 We brought Abby to get her picture taken with Santa at our local Pet Valu a couple weeks ago and this was the result. They had her sitting by Santa's legs for a bit and then decided to put her on the unwilling Santa's lap. She was looking all around and squirming and then all of a sudden her ears perked up and she smiled for a split second and SNAP. This was the winner. That is adorable! :) We brought our boys to a fundraiser last year for the shelter I used to work at, but the results were not this awesome. So cute. Oh my god you really do treat your dog like a child haha!! Also I hope you like the macaroons! They are my moms recipe haha. She swears the secret is using a whole egg instead of just the whites. You can also try to cocoa candy cane macaroons, but I almost prefer the original, dipped in chocolate of course. 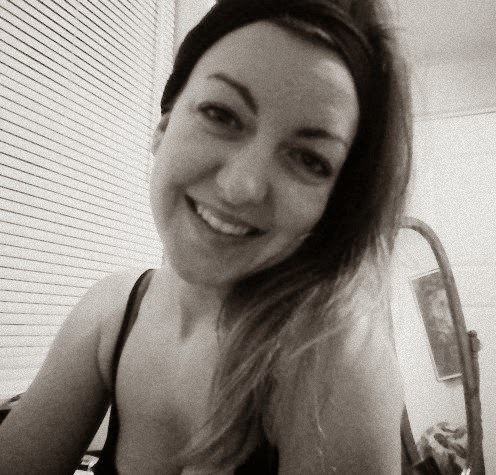 Miss you! Thanks Sarah! I did spruce it up a bit using Picnik.com. Val, literally every recipe I find says whites only and so I don't make them because I know I'll end up wasting the yolks... I'm definitely going for the originals. Maybe tonight! Hahah I know and I hate wasting food. Cuz what can you use just yolks in? I don't know. Let me know how they turn out. Perhaps through a blog? Perhaps I'll get to try one!??! Hope to see you soon. PS - I'm writing this form the airport!! !